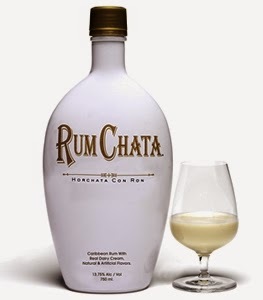 I have loved RumChata since the moment I tried it, which, was someone else’s idea as I hadn't heard of it until then. So, thank you Chef Greg Schiesser… Once I tried it, my mind began whirling with ideas of how to try it in virtually everything. Cocktails, cooking, baking, you name it and I was pouring it in, on and around. And, when I like something this much, I start telling everyone and sharing with them ~ spreading the love, so to speak. Here are my Top 10 ways to enjoy the cream-based liqueur. It is similar in style to Bailey’s Irish Crème, but rum instead and with cinnamon-y goodness. 1. Straight over ice~ Keep it simple. 2. French Toast~ Dipped in RumChata instead of milk only makes any brunch better. There is an official recipe, but I felt it diluted the RumChata flavor too much so instead just replaced the milk in my normal recipe and it worked great. 3. Winter Warm up~ Using hot cocoa packets for a quick hot drink, mix with RumChata and pour into saucepan. Heat thoroughly, pour into cups and enjoy while sitting by the fireplace. 4. Morning Wake up~ Make your morning java as normal then pour in RumChata instead of creamer, stir and enjoy. You can also pour RumChata into ice cube tray, freeze and use with normal coffee over the ice cubes in a glass for iced coffee deluxe. Preheat oven to 350 degrees Fahrenheit. Grease 9" spring form pan. In a medium bowl, mix graham cracker crumbs and melted butter. Press into the bottom of the pan. In a large bowl, mix cream cheese with sugar until smooth. Slowly blend in RumChata and eggs. Mix in sour cream, vanilla, and flour until smooth. Pour filling over prepared crust. Bake for 1 hour. 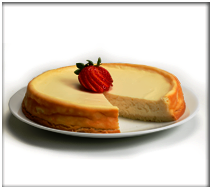 Turn off oven and let cake cool in oven with the door closed for 5 to 6 hours to prevent cracking. Chill in the refrigerator until serving. 6. Whipped Cream~ This is actually how I tasted it first. While at Chef Greg’s Canvas and Cuisine class at Indiana Grand casino, he poured it into an aerosol can and created whipped topping for individual pumpkin tarts. Feel free to put the whipped cream in your hot chocolate also. 7. Kentucky Cocktail~ Pour 3 parts RumChata to 1 part favorite bourbon into Boston shaker with ice. Shake, pour into short glass and enjoy while betting on the thoroughbreds. 8. Cupcakes~ Okay, you could also use it on cake, so whichever is your favorite. I like it in the icing for spice cupcakes, or a bourbon icing on RumChata cupcakes. Cream butter at medium speed for 2-3 minutes. Add 3 cups of powdered sugar and mix at low speed until incorporated. Add vanilla, salt and 2 tablespoons RumChata and mix at high speed for 3 minutes, adding more sugar and RumChata until desired consistency is reached. Frost as desired. 9. Hot Tub Cocktail~ Pour (3 parts RumChata to 1 part Pisa, 1 part vodka) into Boston shaker with ice, Pisa liqueur, a splash of milk and caramel vodka, shake vigorously and pour into tall glass of ice or strain into martini glass. turnaround time available, due to requests. I realize this is tight on time, however, viewers are requesting an earlier feature of the gifts to stay in line with their shopping habits. The popular event ~ sharing the best holiday and Christmas gift ideas ~ will be televised again this year. I have switched from Fine-living Adviser on Indy Style to be the Travel & Leisure Adviser for Fox 59 Morning News Show. I will showcase winners on the program Thanksgiving morning, November 27 at 9:10 a.m. Entries must include two of each entry, one for judging purposes and one for presentation on television (if selected). November 24, 2014 is this year's deadline for entries. The list of winners (with image and website) will be published online at GottaGo.us during the week of November 27, 2014. Entries will, once again, be selected by a three-judge panel. Those submitting winning entries will be notified by the email address sent with the entry. Purchasing and contact information should be included with entry, along with bio of product and company. Images should also be submitted via email. A hi-res image (or two) of each entry must be included via email with information in case needed for the television show. All questions can be answered by emailing elizabethjmusgrave@gmail.com or elizabeth@gottago.us, or call her at 317-457-3221. 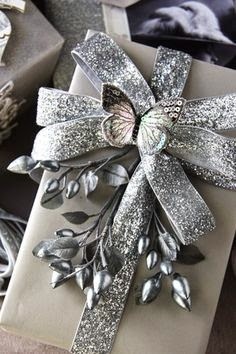 All gifts will be in a general category as each year has seen a wide variety of items. No pornographic, fundraiser, political, religious, sexual, illegal, or hate items will be accepted. • Entries must be EXACTLY as the consumer would purchase ~ size, package everything. Ex. gift packs, gift baskets, monthly club, size, etc. • Submissions must include 2 (two) of each item: 1 (one) for judging and 1 (one) for presentation on television (if selected). • PR firms may submit for as many clients as they wish. • Only three different items may be submitted per product company. • Food items are allowed again. • Alcohol and alcohol gift sets will be accepted again this year. • Perishables are accepted, but please send to arrive the day before judging for best presentation. • Children and pet items are being accepted again this year. • Information for purchasing must be included (website, retail locations, etc.). • MSRP must be included. • Include social media information (Twittter, Facebook) in email for inclusion on website post. • No pornographic, fundraiser, political, religious, sexual, illegal, or hate items will be accepted. • Entries must be received by 6 p.m. Monday, November, 24, 2014. • Send all questions to elizabeth@gottago.us or elizabethjmusgrave@gmail.com. • Due to the quantity of items received annually, all items cannot be featured and will be chosen by judges. • Items cannot be returned. • No monies, by way of donation, fee or otherwise, will be required or accepted by any judge. This is not a media buy or advertising project. It is strictly editorial. • All decisions by judges are final. Judging will be held Tuesday, November 24, 2014. Thank you for your interest. We look forward to a variety of gift ideas again this year.